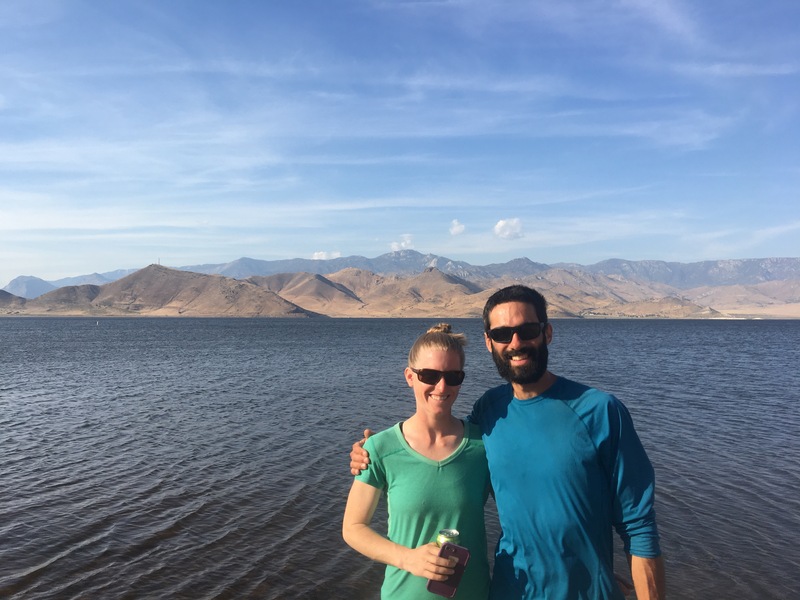 Well, technically San Francisco – the post title is a lie, but we did hike to Kennedy Meadows. Sara and I are taking a break to check out the city, visit with family and friends, and switch up some gear for the next segment. I’ll probably make a future post on whatever our San Francisco adventure brings as well. 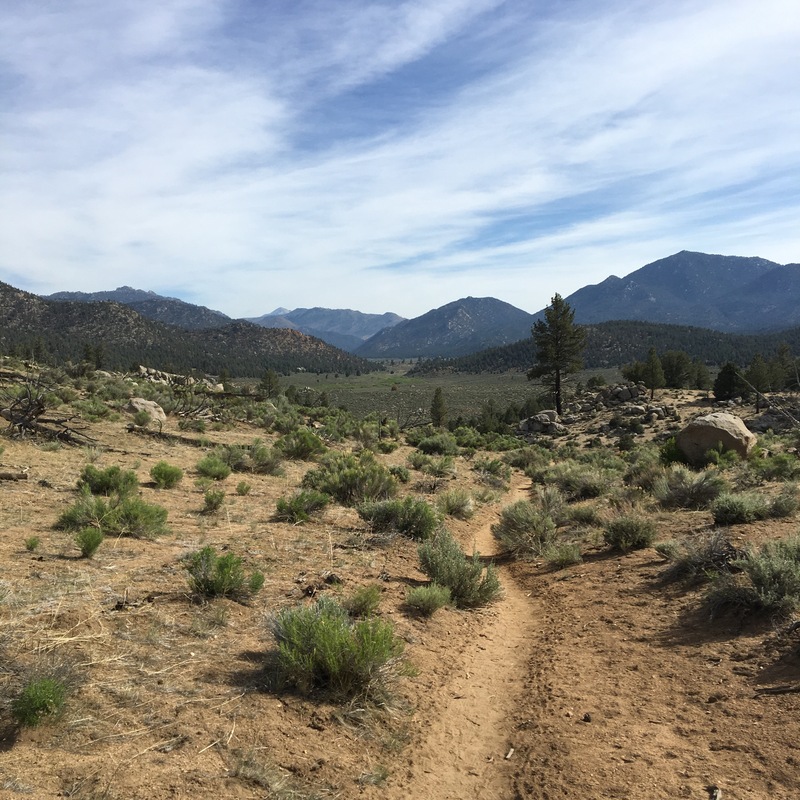 Back to the trail stuff – we actually made it to Kennedy Meadows, the gateway to the Sierras. Ian is pushing forward into the snow and we await his info. We’re all looking forward to the snow and new challenges! Feels good to be done with the desert especially. “Scribe” has come up as a trail name possibility for me, though I probably should be recording more if that’s gonna stick. Anyways, here’s some ramblings and pictures from the past several days. 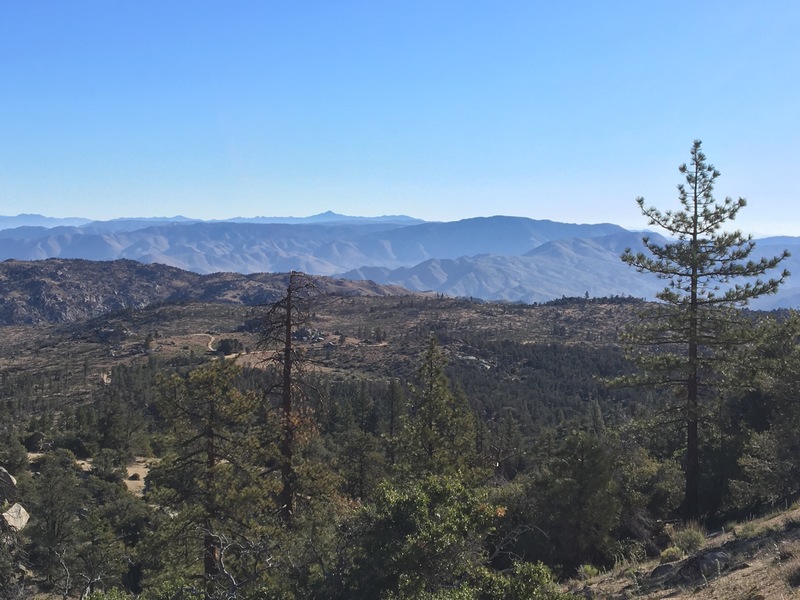 Day 38 – Tehachapi zero day. Only our second of the trip and we probably could have used a couple more. Didn’t do anything too exciting other than ice my right shin, play on my phone, resupply, and enjoy climate control during the 100 degree heat of the day. And we drank a bit of course. 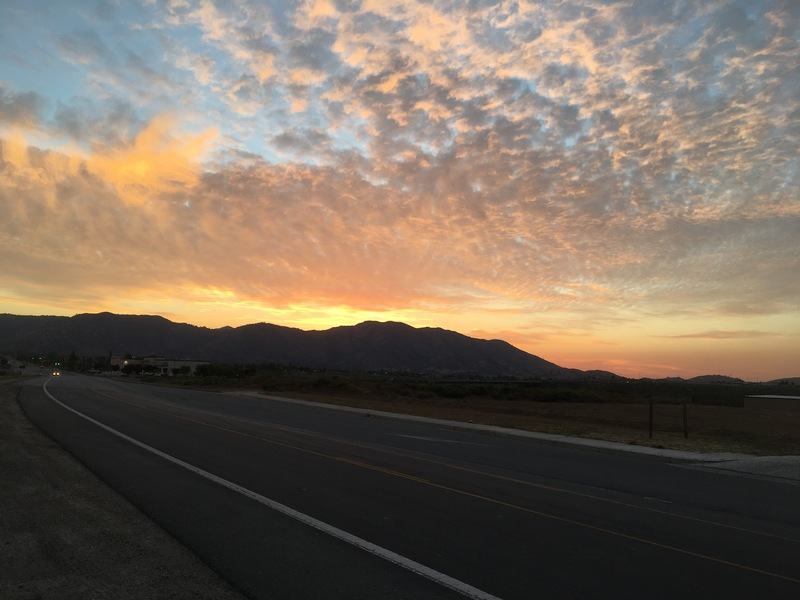 Sunset, walking to the grocery store. Day 39 – Lazy day around town, ate a bunch more food and sat in a park most of the day waiting out the 100 degree heat. 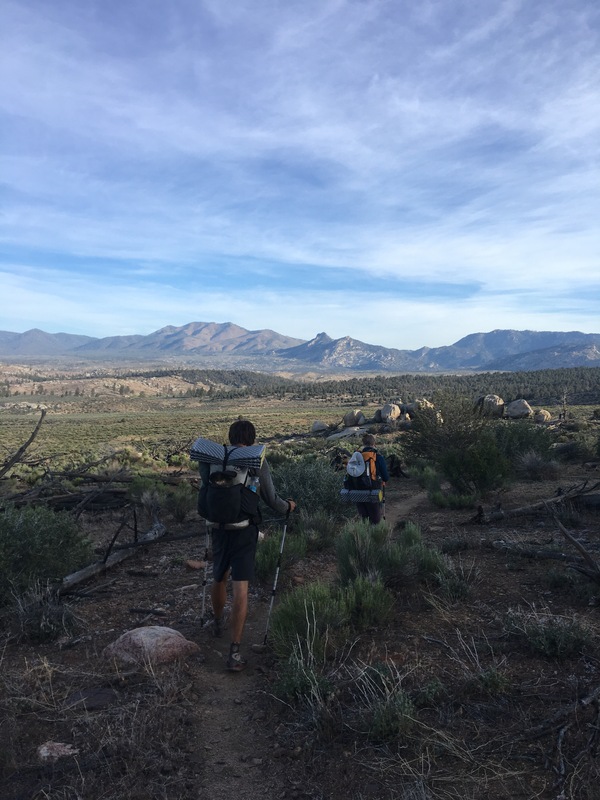 Headed back to the trail after dinner then night hiked back up into the hills to mile 573.2, where we camped. 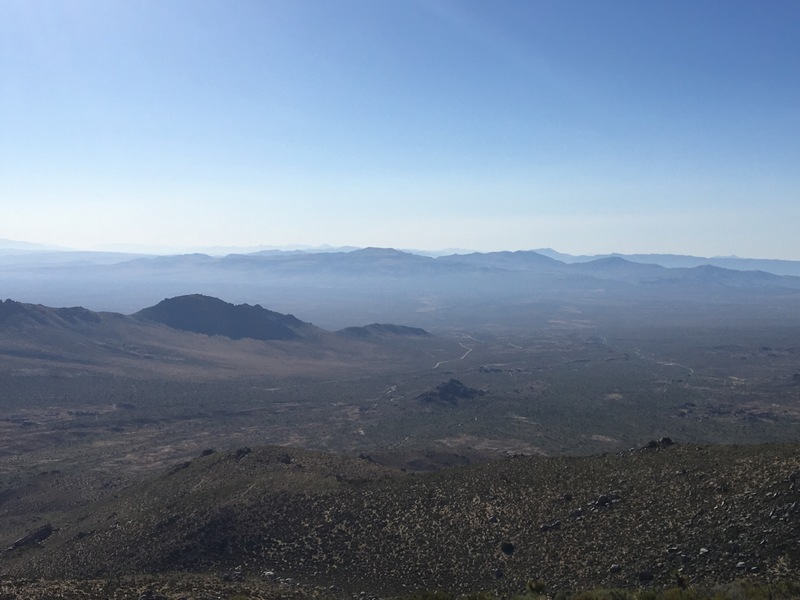 Day 40 – Could have easily kept sleeping until I thought about the heat. 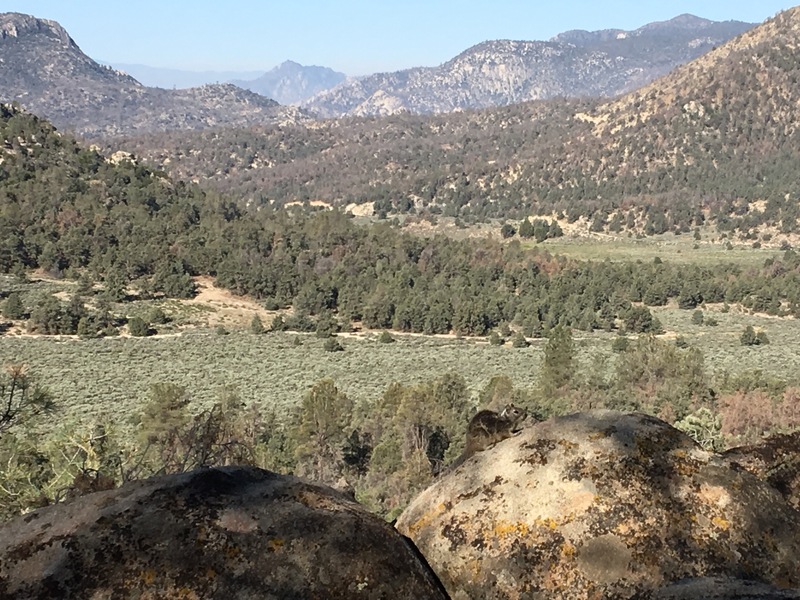 Hiked from 6:30-10:30 or so and waited out the heat near the only water source in this ~40 mile stretch. 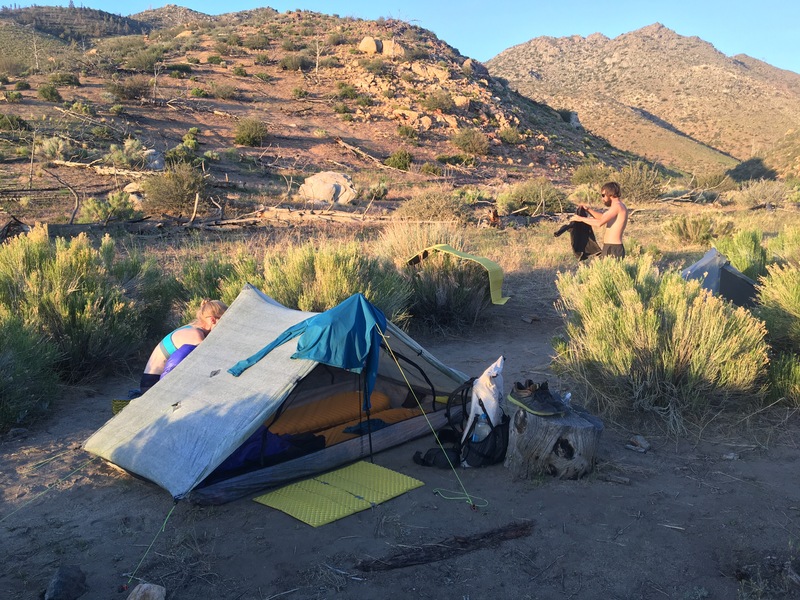 After several hours of napping and snacking we quickly covered another 10 miles and camped in a beautiful grove at mile 593. 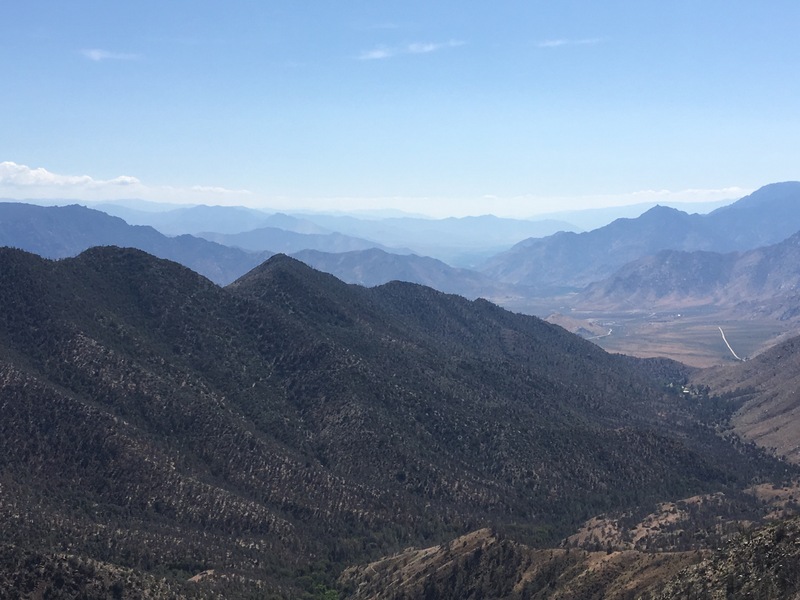 When there’s only one water source for ~20 miles in either direction, a bubble of hikers form. 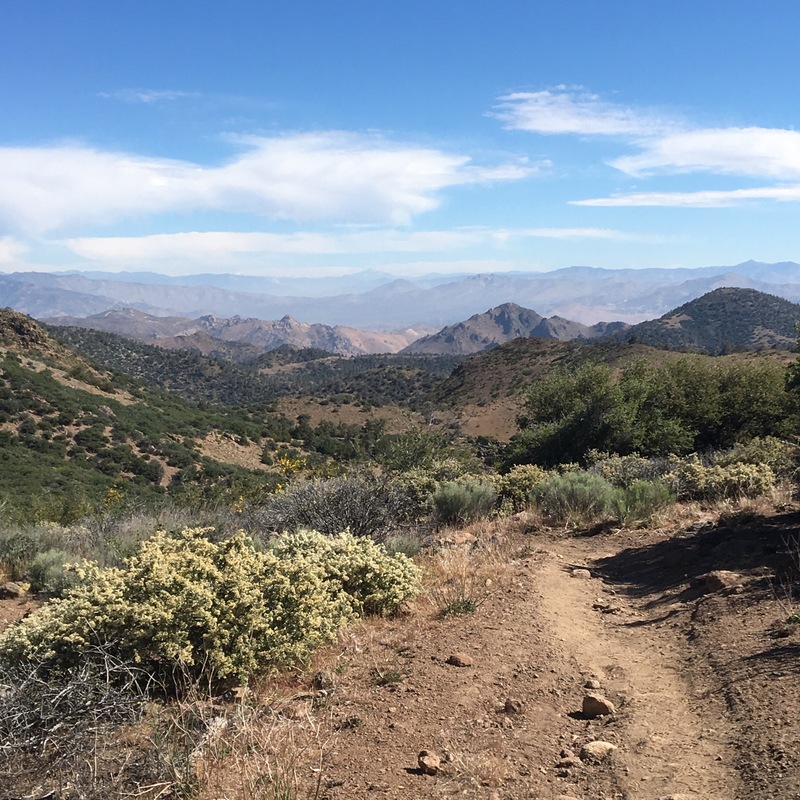 Day 41 – Good trail all day – started with a bit of climbing but by afternoon had mellowed out. A few thousand feet change in a day is pretty typical. Plenty of water about today, we took a long afternoon break near a stream, then continued on another ~4 miles. Hit 600 miles today; another hundred down. 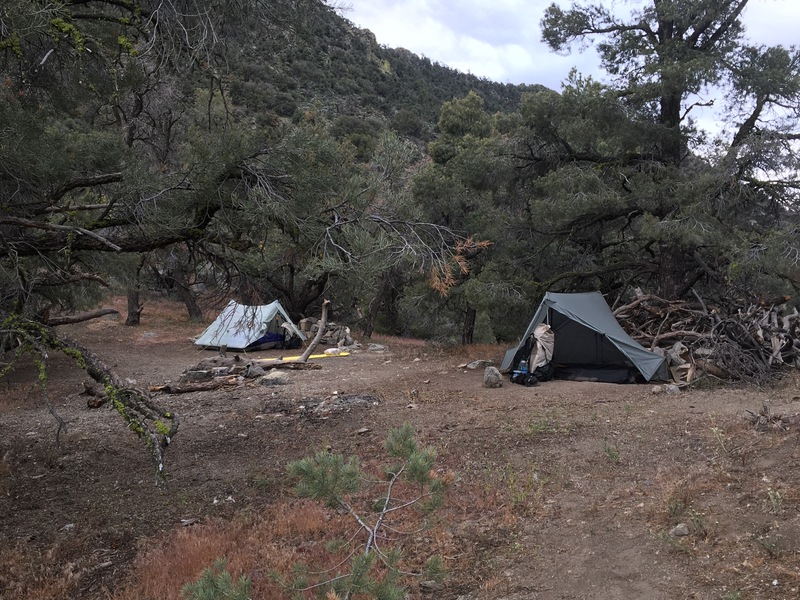 Camped at Landers Meadow Camp, a popular ORV trail campground at mile 608.9. 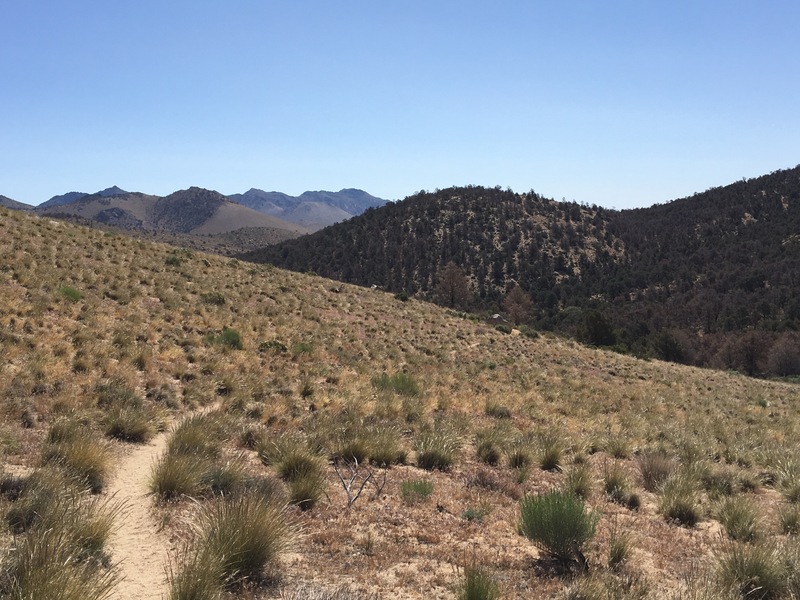 Day 42 – Out of the woods this morning after an easy ~10 miles and back to the desert. Took a detour off trail mid morning, down a gully, to access water. 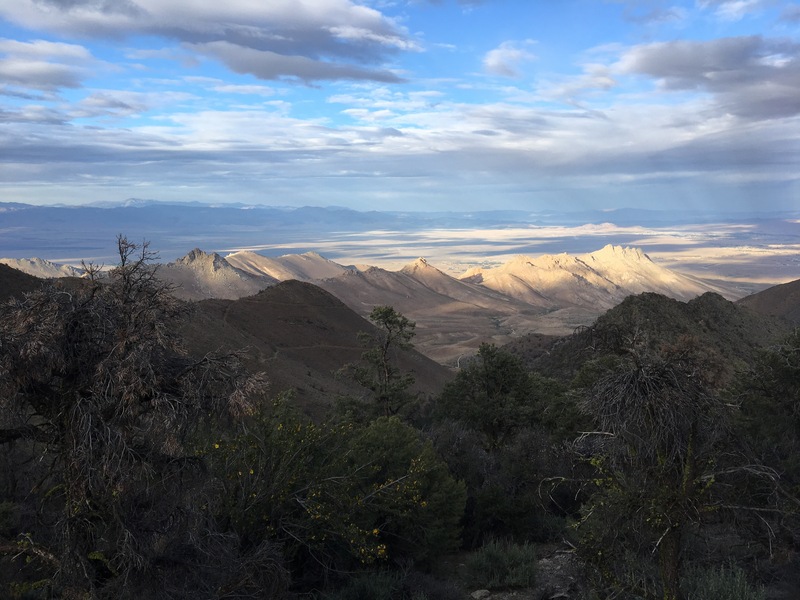 Other than a little easy scrambling – enough to make me miss climbing – it was an easy hike to a plentiful water source in this long dry stretch. It’s 25 miles before the next source, so I have 5.5L, my biggest carry yet. 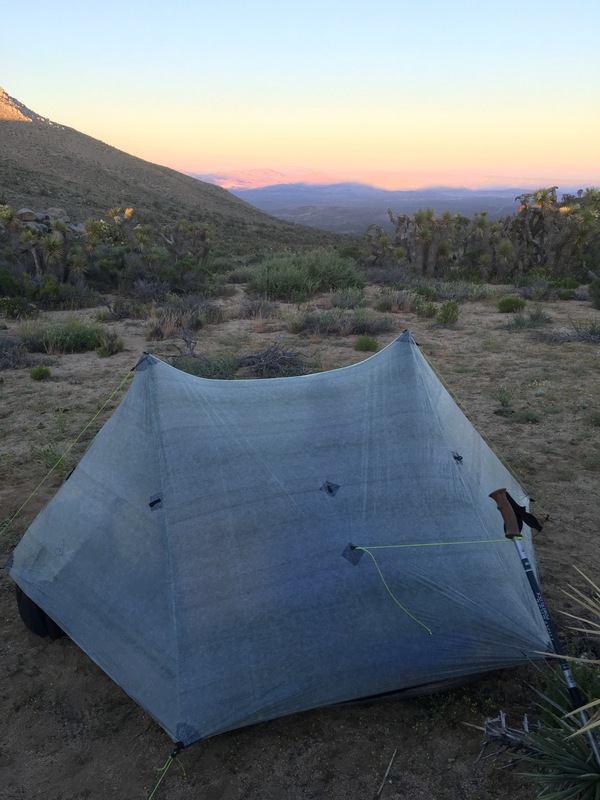 After a siesta in a nearby Joshua Tree we hiked another few miles, camping at mile 625.8 in the wind. Of all the water meant for livestock that we drink, this had to be the cleanest. 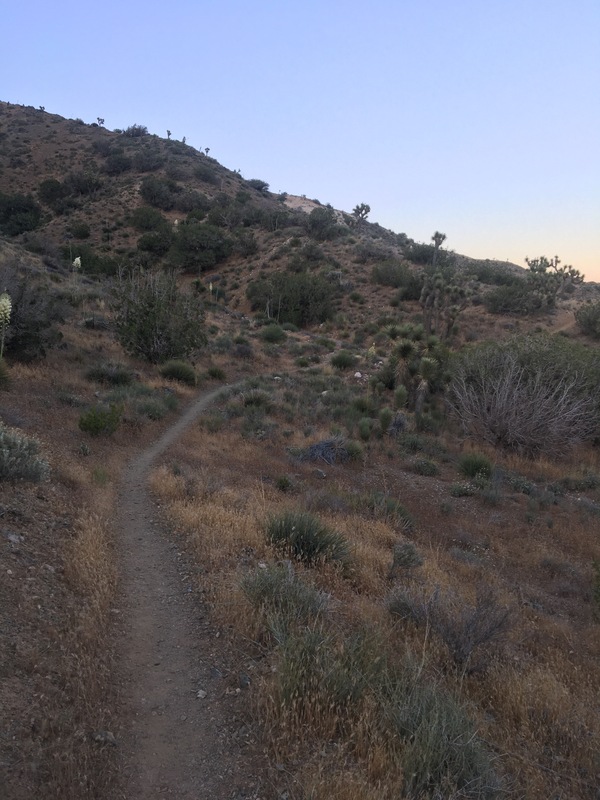 Day 43 – Started out the day with a quick 5 miles followed by a steep ~1700ft climb back into the trees. Took a break in the pines mid afternoon the continued on to McIvers spring for water. Nice to be down to only a couple liters on my back at a time again. After stopping for water, we cooked dinner and hiked a little further. 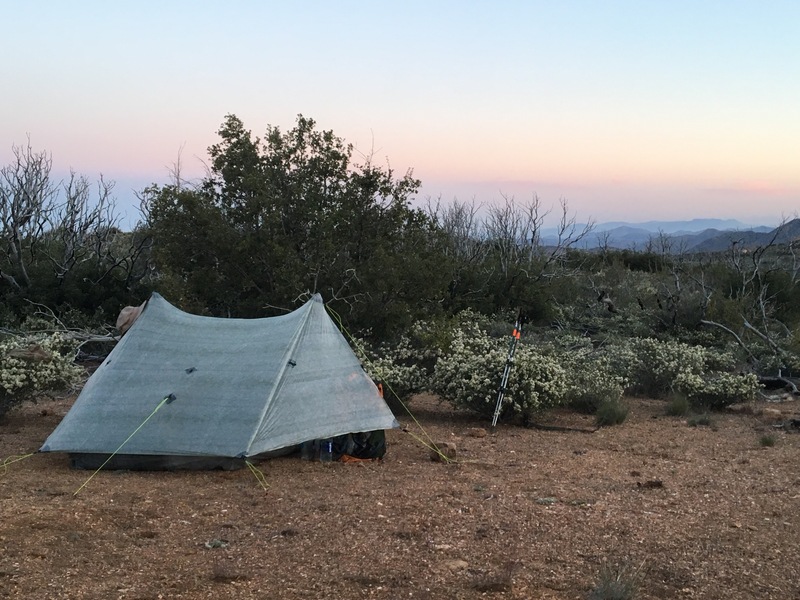 Camped at mile 644.1. 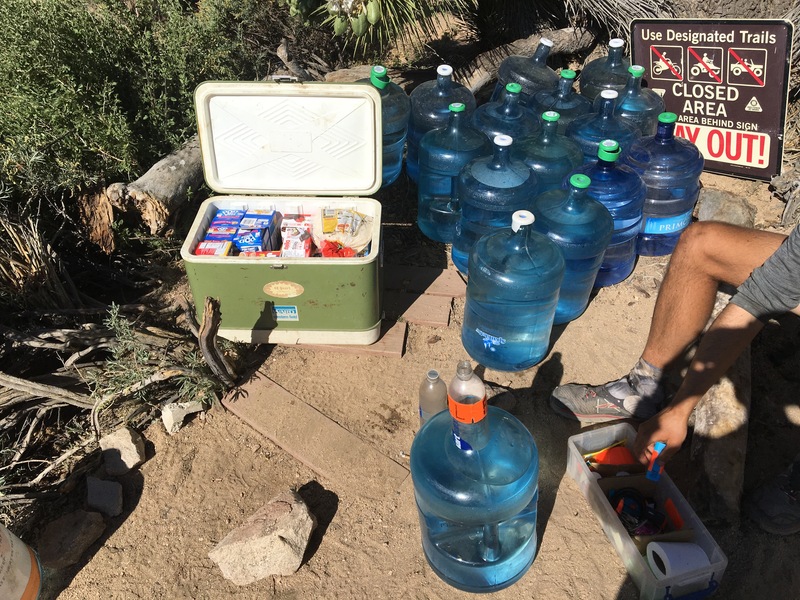 This cache was amazingly thought out – water, food, TP, duct tape, tools, anything you might need in a pinch. 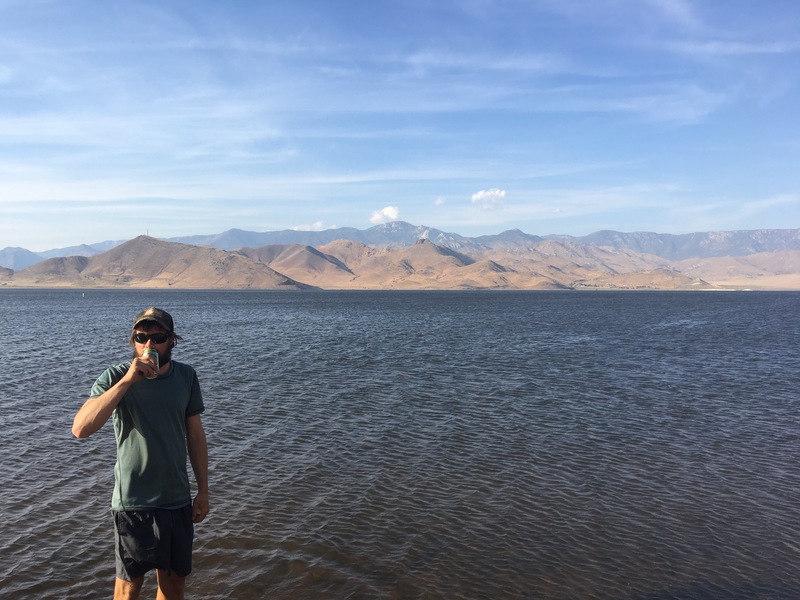 Day 44 – Hiked ~8 miles to Walker Pass and immediacy got a ride from a trail angel into Lake Isabella. 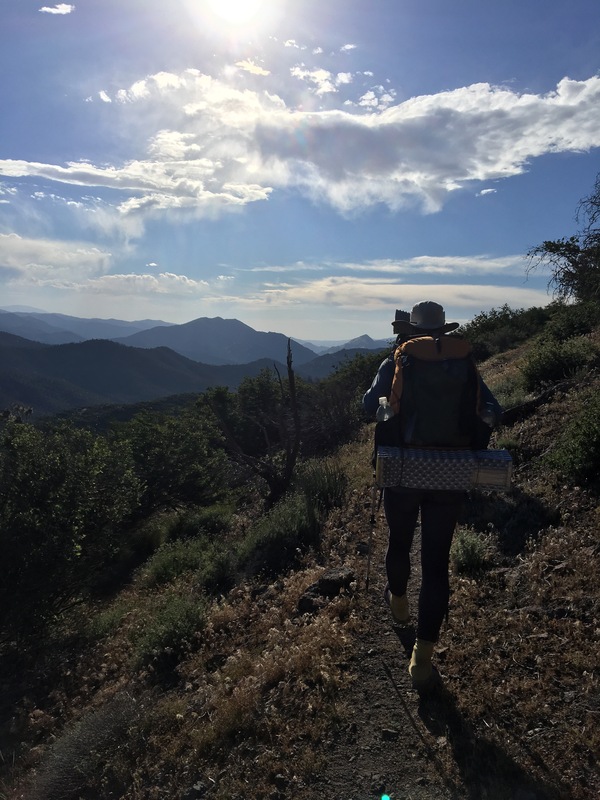 After some breakfast at a diner we headed to the grocery store to pick up a small resupply, then headed to an hiker friendly trailer park for some showers and shade. Day 45 – Sara’s birthday today! We had a lazy morning at the trailer park, stocked up on more food and beer, then waited until we could find a ride to the Paradise Cove Lodge. 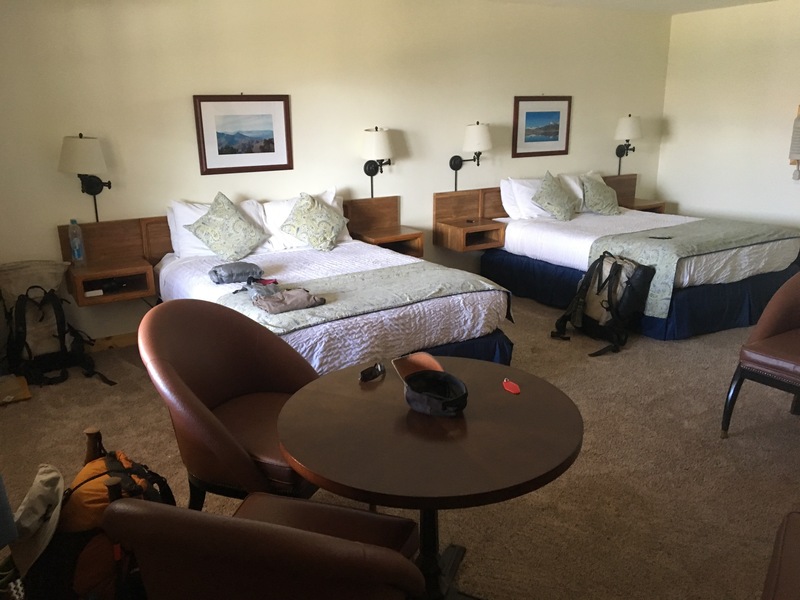 Once we got there, we were thrilled to have a big, clean, A/C filled room, but disappointed the restaurant and bar was closed until Wednesday – we’d heard their prime rib was incredible. Walked down to the lake and ordered some pizza, which was damn good as well! Probably the nicest room and view yet! 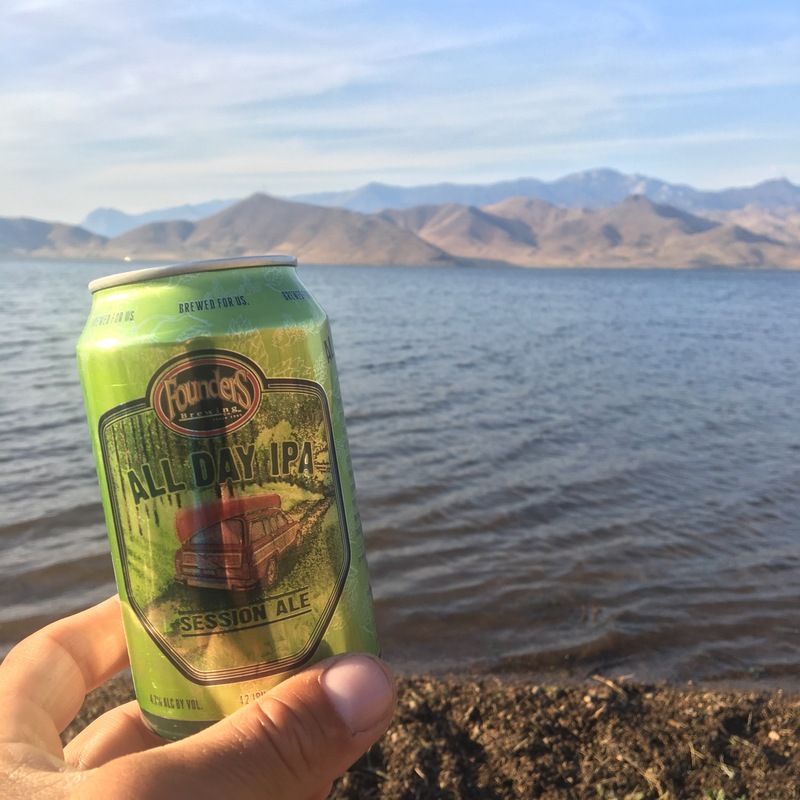 Michigan beer in the So Cal desert? 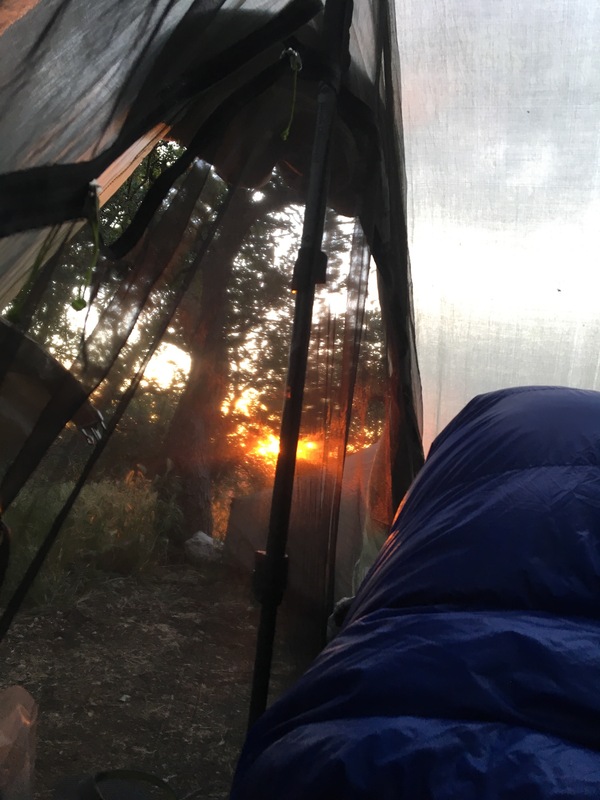 Day 46 – Another lazy morning. Hitched our way into town again, mostly to pick up Ian’s new tent at the now open PO. After another trip to Vons for snacks we hitched back to the hotel. Ian seam sealed his new tent and Sara and I lounged around. 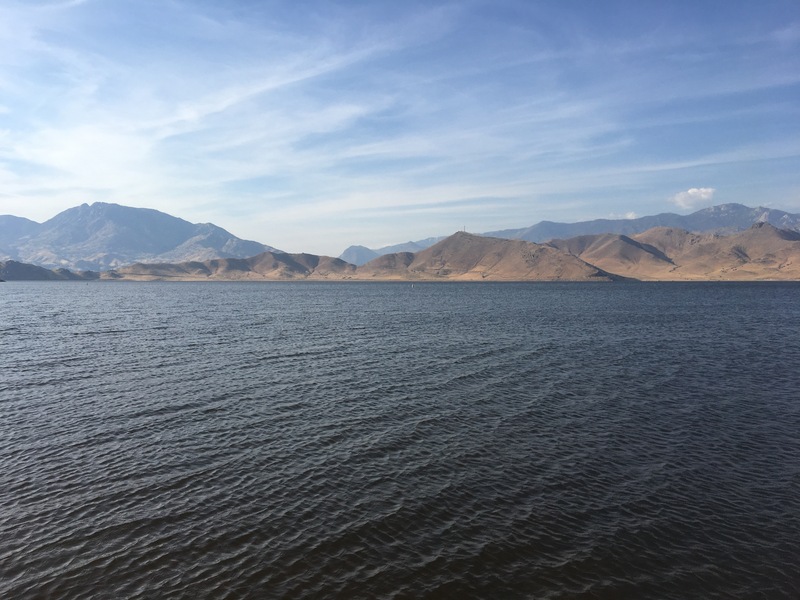 Another picture of Lake Isabella – apparently this several mile long lake was just a trickle of a river last year. Day 47 – Yet another lazy morning! At the pace we’ve been going it feels strange, but comes well deserved. Got every pennies worth of our hotel then tried taking the bus back to the trail head. After a few minutes at the bus stop, we got picked up by the same guy who had given us a ride the day before! 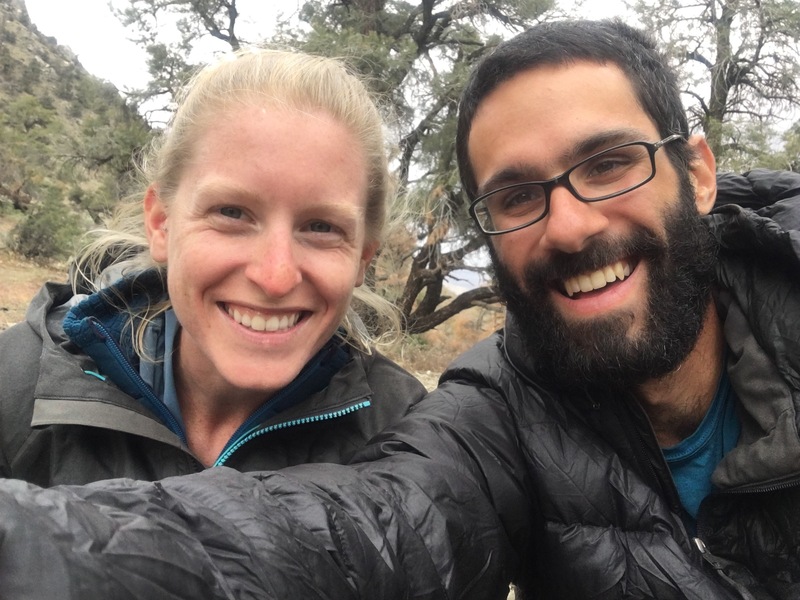 He was in town visiting his girlfriend who’s on the PCT, but since he rented a truck, he’s been doing the trail angel thing around town. Can’t thank people like this enough! Felt good to be back on the trail despite some rain as we hiked. 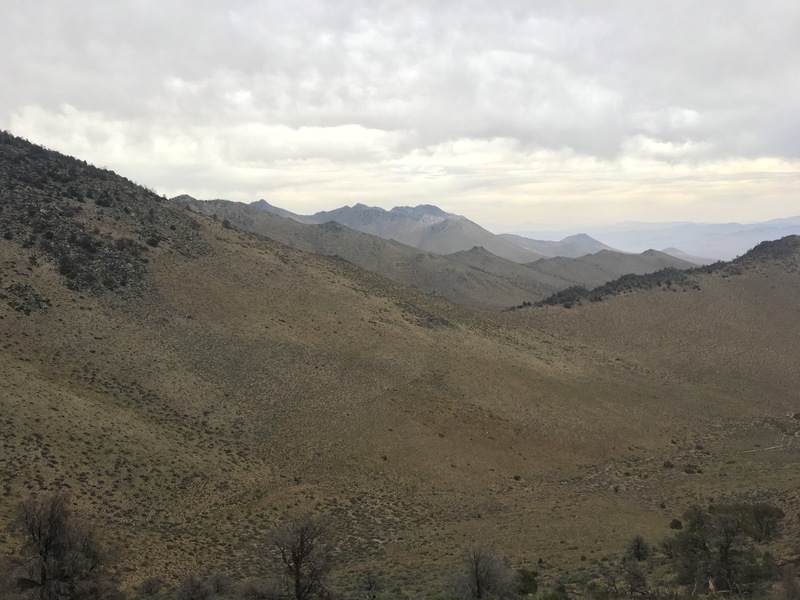 The rain and wind died down late afternoon and we camped on a saddle at mile 656.9. 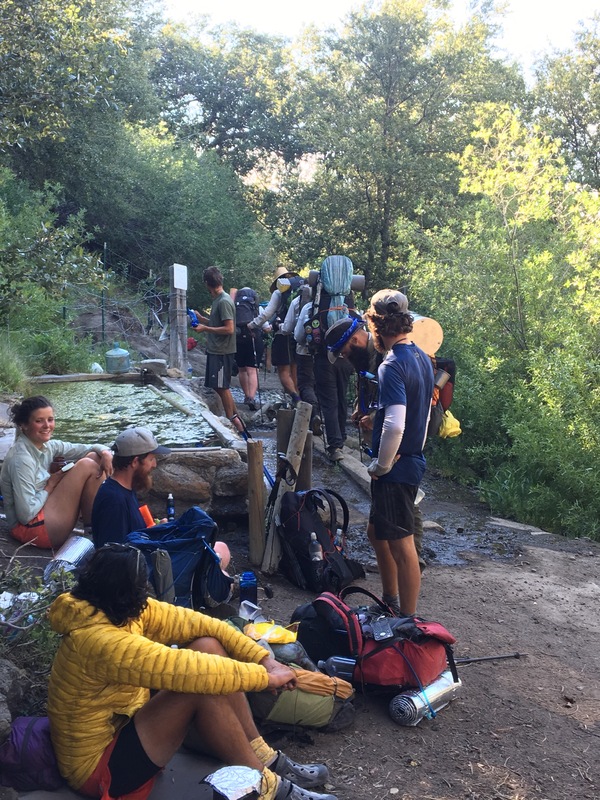 Thru hikers typically look happy after a rest day. 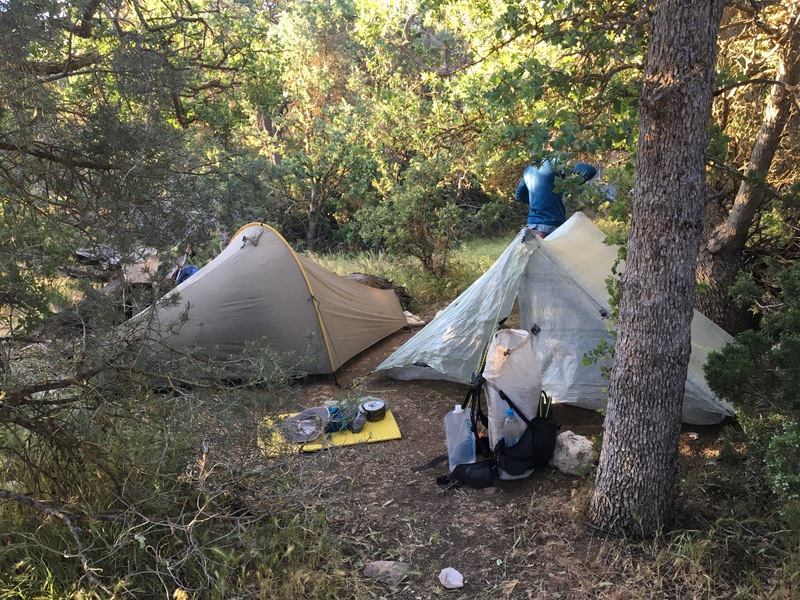 Day 48 – More hiking, more siestas and another normal thru hiking day. 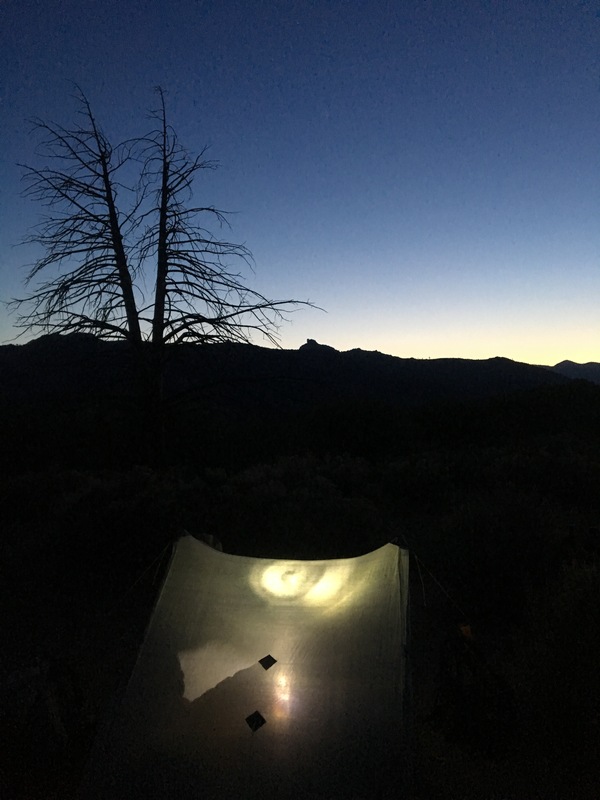 Beautiful evening; camped on a saddle again at mile 676.2. 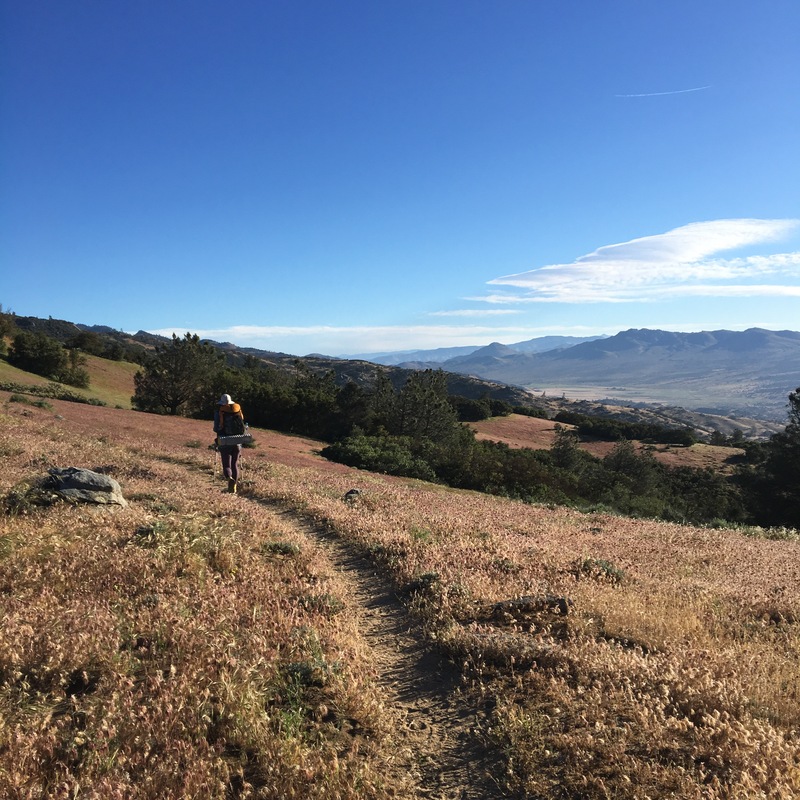 Day 49 – Highs and lows. Knee hurt like crazy all day out of nowhere. Hiking was nice early in the morning but quickly turned to burn area and intense sun. Coupled with a painful knee, my day wasn’t great. 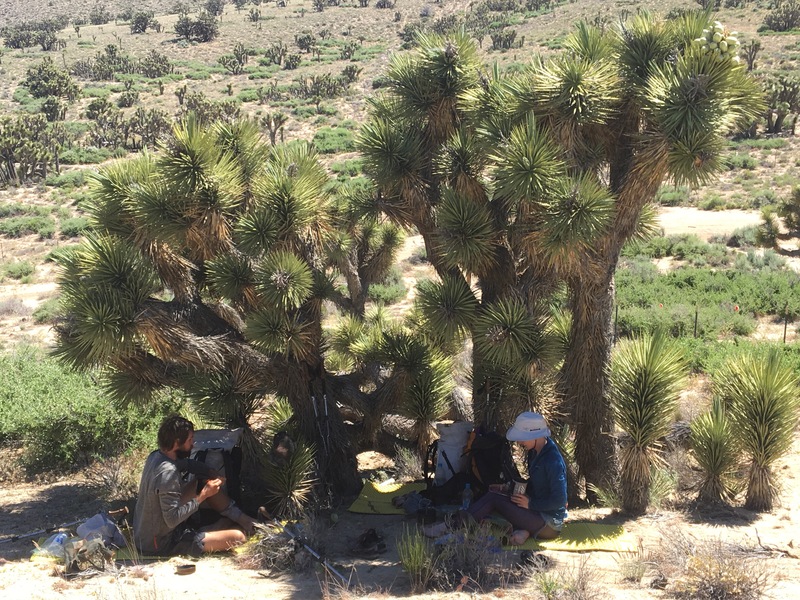 But we hiked 17.6 miles and found a little shade that tuned into good campsite as the sun went down. Mile 693.5. Playing around with headlamps and cameras. 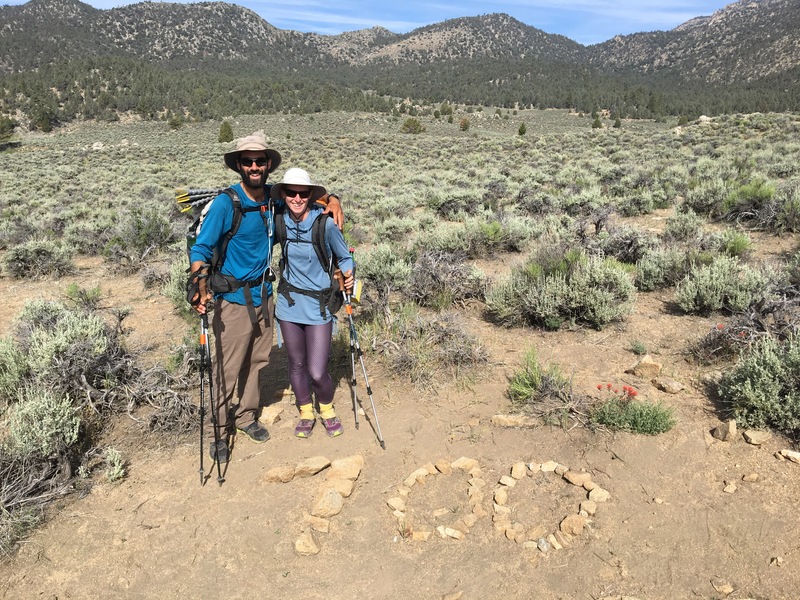 Day 50 – Hit mile 700; arrived at Kennedy Meadows (South)! 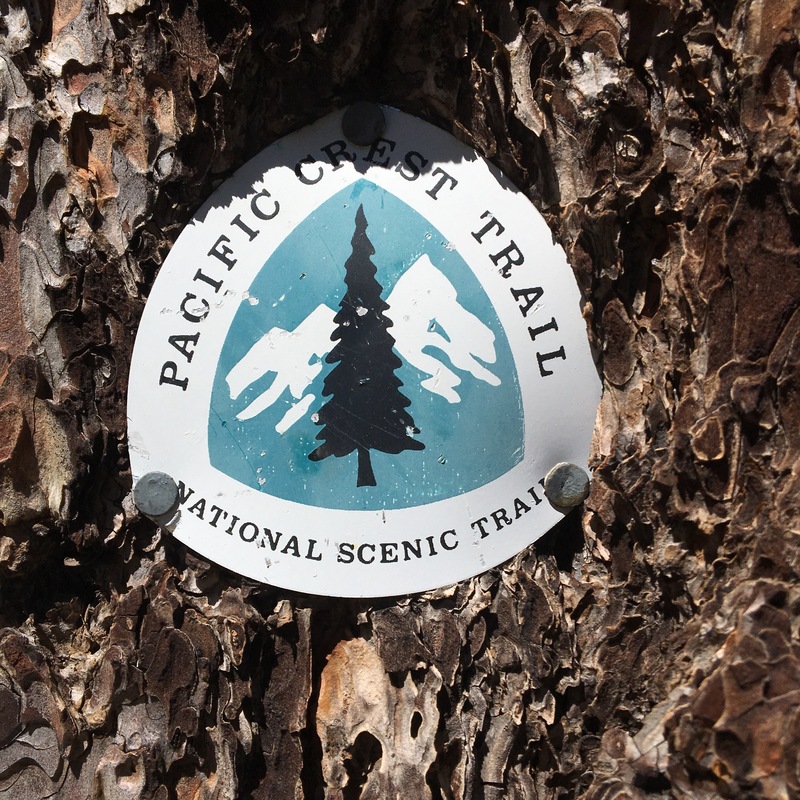 Significant landmark on the PCT, the entrance to the Sierras. No signal or wifi anywhere around but we got a ride over to Grumpy Bear’s for some breakfast burgers and beer. Checked out Yogis new “Triple Crown Outfitters” across the street then hung out at the general store looking for a ride. 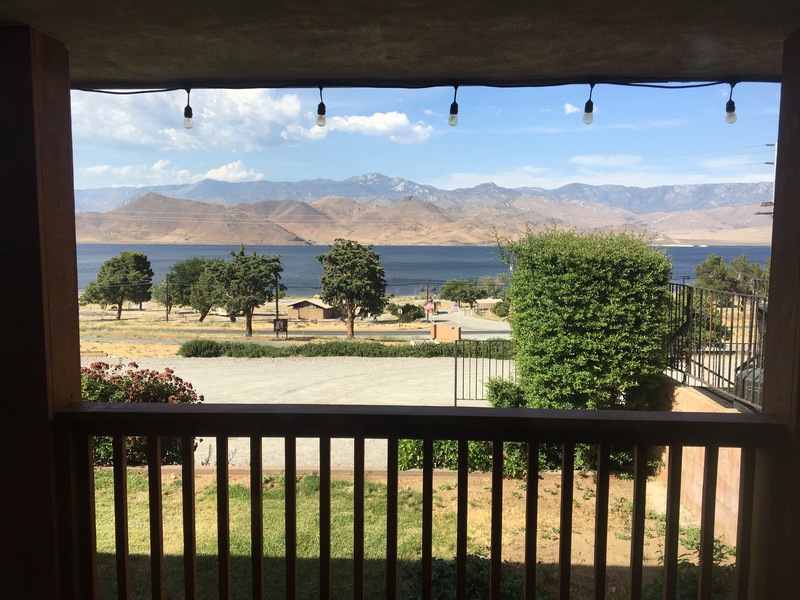 An awesome woman from Wisconsin offered to drive us to Lake Isabella – we got there with 5 minutes to spare before the last bus to Bakersfield, CA left! Mid way to Bakersfield the bus broke down, but we eventually made it to a hotel and the start of our first PCT side trip. Shortly after this we passed two more 700 mile markers, so who knows where it really is.